The 308 has been an American favorite for years. In the past, this round was used for military and government agency purposes, and is very popular as an excellent hunting and match shooting round for civilians. With the high power and long range this round provides, you have the perfect cartridge for several different shooting applications. With the quality and innovation that comes with the Hornady name, you know this ammunition is going to be top notch. Since 1949, Hornady has been producing premium ammunition that is reliable and consistent. 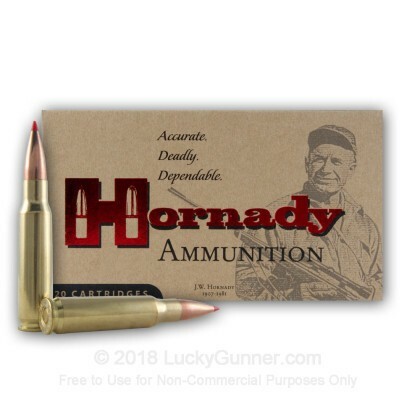 When you go out to the range with this A-Max match ammo from Hornady, you will have some of the most accurate and consistent ammunition available today. These 168 grain A-Max projectiles are engineered to have a very high ballistic coefficient and the ideal secant ogive profile for extreme accuracy. 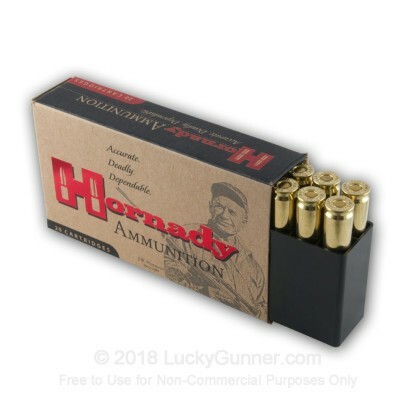 Hornady loads these projectiles into fresh brass cases that are boxer primed and re-loadable. 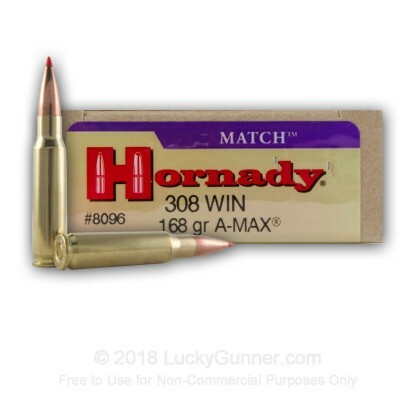 Head to to your shooting match confident in the abilities of this 168 grain match grade ammo from Hornady!.